Lately the trend has been for brides to pop the question to their bridal party, adorable boxes filled with bridesmaid themed gifts, ring pops, and even hand stamped gifts! Above are just a few cute ideas we loved from Pinterest. Serendipity Weddings & Events is excited to now offer hand stamping! Check out our “Hand Stamping” tab to learn more and to get ideas! Below are other adorable ideas that we found for inspiration! 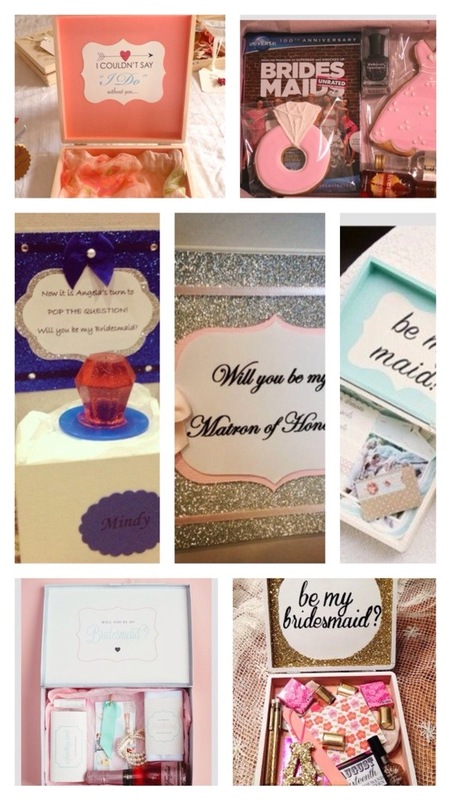 We would be happy to help you make your boxes for your bridesmaids! 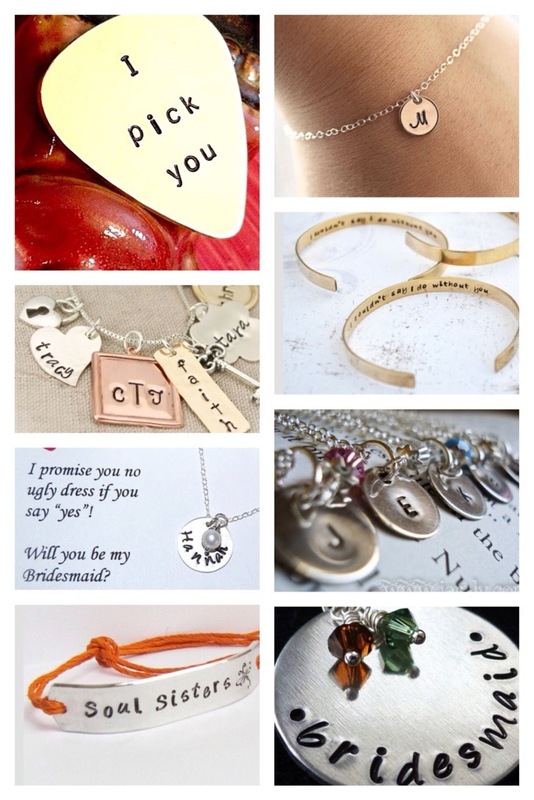 Make “popping the question” memorable for your maids! This entry was posted in Custom Invitations, Themes We Love and tagged bridal ideas, bride, bridesmaid boxes, bridesmaids, event planning, groom, hand stamping, northern ohio, popping the question, serendipity weddings and events, southeast michigan, wedding planning. Bookmark the permalink.